Controlled ball flight and workability from presicion shaping. Fast ball speed from Jailbreak technology. 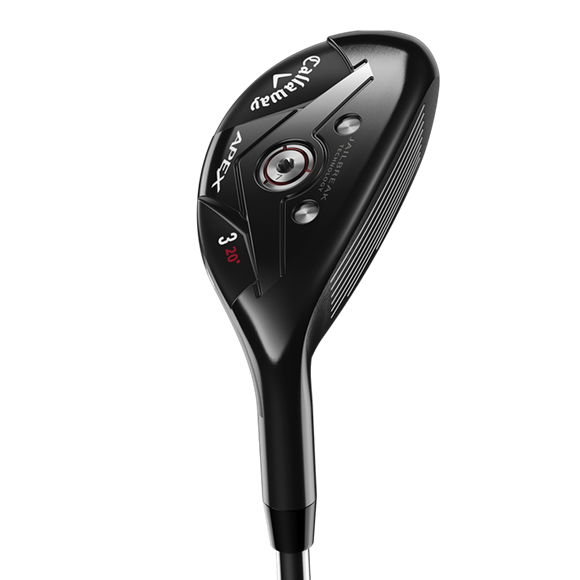 Callaway have engineered the groudbreaking Jailbreak technology in an Apex hybrid for the first time. Two steel Jailbreak bars stiffen the body, placing more impact load on the face to promote fast ball speed and distance. The forged face cup is made from carpenter 455 steel and is designed for increased speed at every impact location. A beautiful Apex shape with a classic dark PVD finish and premium components including a Temper catalyst and golf pride tour velvet 360 grip.